Ford confirms FPV brand will stay around, for now! 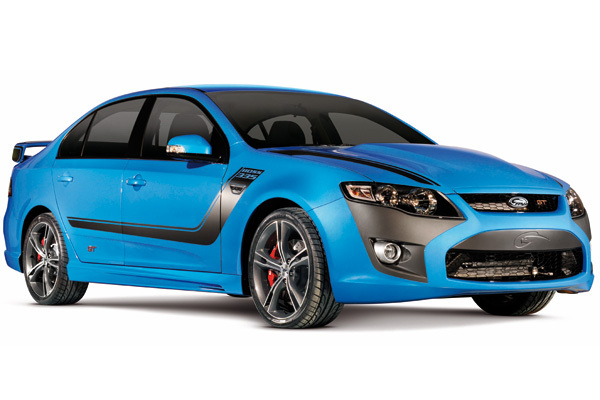 Post subject: Ford confirms FPV brand will stay around, for now! Ford has confirmed its iconic GT will continue to be branded an FPV when production of the high-performance range re-commences next week. The blue oval took full ownership of the brand late last year after buying out the 51 per cent stake owned by its former joint-venture partner, British engineering firm Prodrive. It closed down the company's dedicated production facility in Campbellfield – across the road from its Broadmeadows plant – in December and has spent the last eight weeks preparing to build the FPV models alongside the Falcon and Territory. Ahead of a scheduled press event next week to celebrate the first time a GT has been fully-constructed at Broadmeadows since the XB model finished in 1976, Ford has dismissed speculation the FPV brand would be discontinued and the GT would wear a mainstream Ford badge again. Amid similar scuttlebutt that Ford would rationalise the FPV range by dropping the slow-selling F6-E and GT-E luxury versions to reduce production complexity and ensure the financial viability of the low-volume models, McDonald confirmed Ford has no plans to do so at the moment. “As regards to the speculation on model line-up: we're launching with the full complement of the current vehicles,” he said. Post subject: Re: Ford confirms FPV brand will stay around, for now! Bugger, I was hoping my new GS would have Ford badges. Easy, just drive to the east coast, pull into Cessnock (probably here too) and the kids will rip off your FPV badge so you can fit a Ford one. Good to see the FPV range surviving. How bout a Mercury badge?